I would work with her again in a heartbeat! "Kim went out of her way to explain things to me and make herself available. I really felt she cared about me. I would work with her again in a heartbeat!" "I have never been more impressed with the efficiency and professionalism of anyone. Kim came armed with a complete market analysis and all relevant information regarding our community. She was a pleasure to work with. I can say, without reservation, when we are ready to sell our current home, we will call on Kim Dittler!”"
"Kim showed great knowledge about the real estate field. It seemed when something went wrong, Kim was there to go to battle for us." "Kim was always ready with the insight and answers I needed. Even after closing, she was more than willing to help me find the resources I needed. 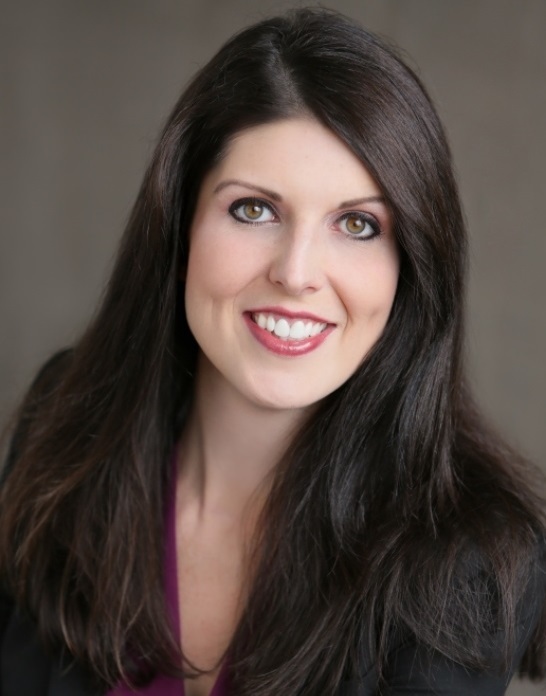 What sets Kim apart as a real estate agent is her warm and personable disposition." "Kim was patient in answering my many questions and alleviating my worries with her no-pressure approach. We knew throughout the experience that Kim wanted the best for us and would not allow us to settle for the wrong home." "As a first time home buyer, I was fairly intimidated by the whole process but Kim took me through it step by step. It was great working with a realtor who really cares about finding her clients the right home. I have someone I can trust to get the job done." "Kim was extremely helpful, knowledgeable & nothing but friendly & full of smiles. She responded to all my questions quickly and completely and with good advice." "My husband and I have worked with several realtors throughout the years but unlike some past experiences, Kim was there every step of the way making the whole process proceed very smoothly. We were so impressed with Kim both personally and professionally. Not only is she a delightful person but she's an incredibly hard-working, dependable, knowledgeable, thorough and professional realtor." "Kim's integrity and "go the extra mile for you" attitude were things that we knew we could depend on when it mattered most." "Kim is friendly, enthusiastic, and willing to put forth a lot of effort. Her high level of organization and honest advice were extremely helpful as the processes of making an offer, evaluating the inspection, negotiating, etc. were new to us." "Kim was Johnny-on-the-Spot about investigating the various aspects of buying rental property and providing reliable information to help us make a good decision about whether to proceed. Many realtors market their “level of service” but, Kim, you deliver it." "I'd like to say that Kim was a blessing and a joy to have as my real estate agent. I felt she had my best interest at heart and did not press me." "Buying your first home can be a frightening and overwhelming experience, but Kim guided us through the process with comfort and ease. Kim was always available to answer our questions and had very prompt follow through." On top of making sure the transition went smoothly. "I certainly am impressed at how professionally Kim handled the listing of my home. She was so prompt in getting my listing advertised and she kept me well informed. Kim brought a well-qualified buyer and was so on top of making sure the transition went smoothly." "What distinguishes Kim above other agents is her stellar service attitude. Throughout the entire process, Kim always went above and beyond our expectations"
"I have purchased three homes and Kim has been the best realtor that I have dealt with. First, she was very accommodating in scheduling times for me to view homes. Secondly, she actually attended my closing. That’s the first time I’ve had that happen. Kim was well organized and knowledgeable about the home buying process." "Our favorite attribute of Kim's was her ability to communicate. She was always available for phone calls to field our concerns and she was always keeping us up to date on the progress of the sale of our home. It made us feel safe being so well informed." "Kim really "went to bat" for us in several stressful situations. She always acted professionally and we had complete confidence in her integrity and truthfulness. We highly recommend Kim as a real estate agent." What would we have done without her?! "Kim took notes of things we liked and disliked about each house we saw and tried to really focus on what we were looking for. We ended up going the new construction route, and Kim was there supporting us all the way. Kim came to every meeting we had with the builder and their representatives. What would we have done without her?! Our loan officer, other realtors and several other people have commented on how professional, friendly and honest she was." "Your advice was dead on and I am so glad we listened to you. You do know your business. You had no boundaries around the things you would do for us which is so appreciated. Your knowledge, advice, council and coaching resulted in the absolute best possible deal for us. You are honorable and a client can take your word to the bank." "I appreciated Kim’s professionalism and efficiency as well as her warmth. She really cares about her clients. I would call her again in a heartbeat - and would definitely recommend her to anyone!" "Kim Dittler was recommended to me by a co-worker in the spring of 2005. It was the best recommendation I have ever received. She worked tirelessly to find me the perfect home within my limited budget range and specific requirements for two and a half years. There aren’t many realtors (or people) who are willing to work for so long for someone." We were so impressed with how organized Kim was! "We were so impressed with how organized Kim was! It made us feel confident that our house was in the right hands"
"My wife and I looked at several houses more than one time and Kim enjoyed looking at the house with us the second time just as much as the first time. Kim also never made us feel that we were inconveniencing her at any time." "I liked Kim’s enthusiasm and passion for her work as a realtor. Kim is very professional, organized and proactive." "Kim provided great advice and resources to help prepare my home for sale. She really went the extra mile!" "I loved the virtual tour she put on the internet, (with music), listing it on Craig’s List, sending out the postcards to neighbors telling them about the Open House, and having another Open House for the other realtors. When I had a question, big or small, she was always there." "Kim jumped in feet first and represented us with zeal. What impressed us so much about Kim was that she is so sweet and caring, and if there is a hint of a problem with anything, she fights for her clients." "Why we wouldn’t use anybody but Kim Dittler. 'Always on top of everything' sums it all up. In constant contact with all parties involved, Kim managed to turn what could have been a deal breaker in to a successful and very happy close of the sale. Kim was always positive, cheerful, and reassuring. We never wondered what was happening and Kim was always there to get done what was needed to keep the sale on track"
"We have worked with a few other agents in the past and it was not until we worked with Kim that we realized what it means to have an agent working for you. Kim epitomizes professionalism, dedication and knowledge of her industry. She was not concerned with simply closing the deal; rather, she truly had our best interest in the forefront of the negotiations. She has not only become our agent, she has also become our friend.”"
"Kim was available nearly all hours of the day to answer my questions. And there were plenty! She was also a great researcher and looked into every inquiry I had about each potential purchase. I can't say enough good things about my experience with her!" "Kim spent countless hours showing us homes, holding open houses, actively marketing, and working with our lender to make sure that we received the best deal in both our selling and buying transactions." "Kim took time to get to know us and what we needed in a home, and worked to make sure each of these needs were met. Her communication skills are truly unrivalled. Kim had the ability to make us feel like her only clients. Kim was a constant encouragement to us and she handled everything with confidence and apparent ease. She is eminently talented and we have the highest respect and regard for her." "From the moment of our initial conversation with Kim until now, she has taken great care of us. You will quickly find that Kim pays attention to every detail. Kim takes a lot of pride and ownership in helping find the best possible home for each of her clients. She is intuitive, informative, and works with integrity on your behalf." "I want to reiterate that Kim is the best, and by far the best agent we have worked with (and we have worked with quite a few). Kim is not only smart, but she also has incredible project management skills and she is wonderful with people." "We could not have found anyone nicer or more patient than Kim. We felt that your advice has always been absolutely sound on." "While many first time home buyers talk about the anxiety of buying their first home, we never once felt overwhelmed, stressed, or anxious. We can attribute that to Kim’s caring, professional, knowledgeable, and patient approach with her clients. She was careful to check every detail and she made sure we were getting into the right home at the right price. Kim is amazing at this job because she loves helping people find the perfect home. We are so pleased with how Kim took care of us. We will be clients of Kim’s for the rest of our lives!" "Kim hit the ground running and never stopped until we sold our house and bought another. She has treated us like family. She is the best of the best.”"
Kim is by far the best! "Kim is always positive and helped a great deal to calm my nerves. She returns calls ASAP and no question is too silly. I've worked with other agents in the past, and Kim is by far the best!" "Kim’s efficiency, knowledge of the market, professionalism, thoroughness, promptness, encouragement, kindness, and sense of humor place her in a class all of herself."